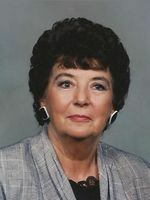 Thelma Irene Mullet of Ashland, went home to be with the Lord Tuesday January 13, 2009. She was born in Ashland on May 30, 1929, the daughter of James and Dorothy (Simpson) Highman. Mrs. Mullet lived all of her life in Ashland where she was owner and operator of the Craft Tree. She had previously worked for Samaritan Hospital and the Giant Store. Mrs. Mullet was a member of the Grace Brethren Church. On May 29, 1948 she married Charles Mullet who preceded her in death. Survivors include her two sons and daughters in-law, Jeff and Jackie Mullet of Sullivan, Steve and Gina Mullet of Ashland; seven grandchildren; ten great grandchildren; brother, Raymond Highman of Norwood, MA. and; two sisters, Phyllis Hughes of Fairdale, KY., and Joyce Clark of Ashland. She was preceded in death by her parents, husband Charles, two daughters, Sharon Boals and Cindy Winfrey; her two brothers Robert Highman and Jim "Sonny" Highman. Services will be held at Heyl Funeral Home on Friday January 16, 2009 at 2:00 p.m. with Pastor Jeff Mullet Officiating. Burial will follow at Ashland County Memorial Park. Friends may visit with the family one hour prior to the service at the funeral home. The family suggests memorial contributions may be made to Hospice of North Central Ohio, 1050 Dauch Drive, Ashland, Ohio 44805.